sowento had the pleasure to attend FOWT2018 in Marseille, a unique event bringing together all stakeholders of floating wind technology. 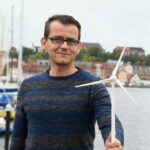 Frank, sowento’s key expert on floating wind, attended the FOWT2018 conference in Marseille to meet different stakeholders and spread the word of sowento’s vision on floating wind. Several discussions showed that we are ready for the next generation of floating wind platforms: Lightweight and cost-efficient prototypes will soon be developed through integrated simulation and systems engineering approaches. Smart design starting with the concept phase will drive the committed costs down and advanced lidar control will help to avoid over-engineered substructures.